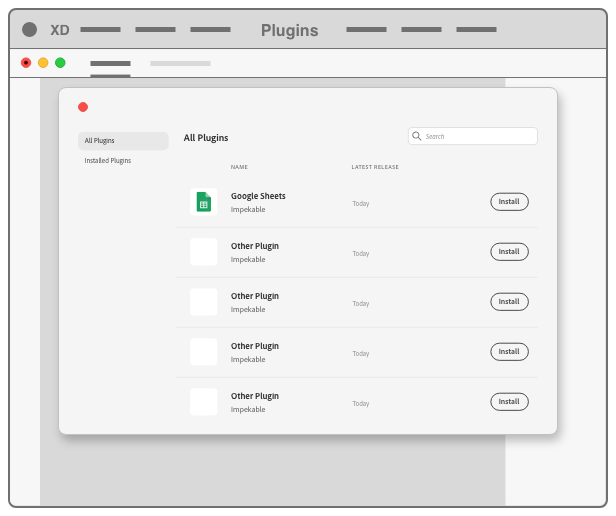 The Google Sheets plugin for Adobe XD enables designers within XD to enrich their designs with real content and data from Google Sheets. 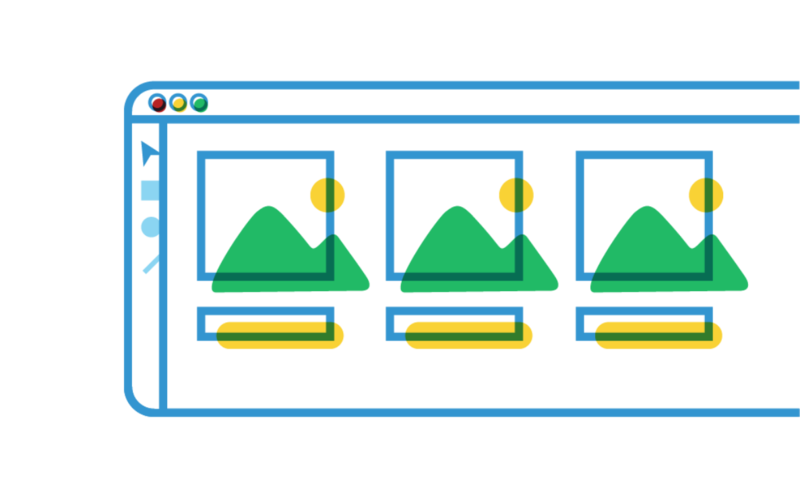 This allows collaboration with other team members to create dynamic designs, right from XD. In XD, use the Plugin Manager to search for Google Sheets. Simply click Install to get stared! You can also download our plugin from this website. Once downloaded, double click the plugin file and it will automatically launch XD and install the plugin. You can uninstall the plugin at any time by using the Plugin Manager. In order to make sure your content is brought into XD correctly, there are a couple rules to follow. Always use columns to organize your different content. This means each column should contain one type of content. When including images, use image URL links pasted in these columns. If you’re familiar with standard .CSV formats, this is what you’re trying to do. Here is a link to an example properly formatted Google Sheet file. We also want to make sure that your design in XD is set up correctly. You can select individual element(s), group(s), repeat grids(s) and/or artboard(s) to plug in content from the Google Sheet. Here is an XD file that will work with our Google Sheet example. 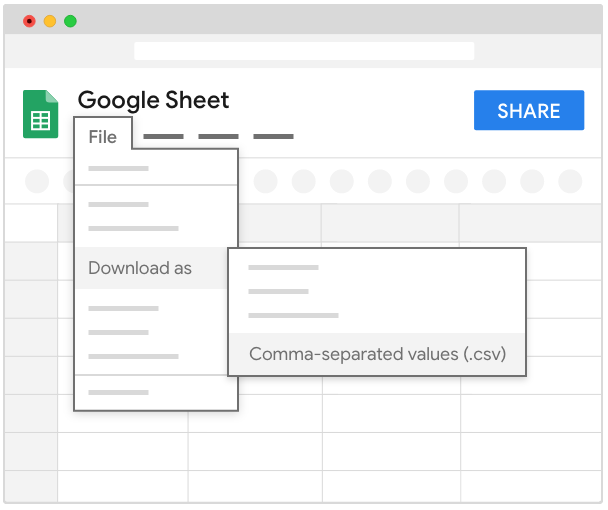 Another way you can use our plugin is by using a .CSV (comma-separated values) file exported from your Google Sheet. You can also use any other properly formatted .CSV file with our plugin. There are some common problems that we’re aware of. Here are some examples of problems you might run into, and how you can fix them. This means that there were no elements in your XD file selected for the plugin to put content into. 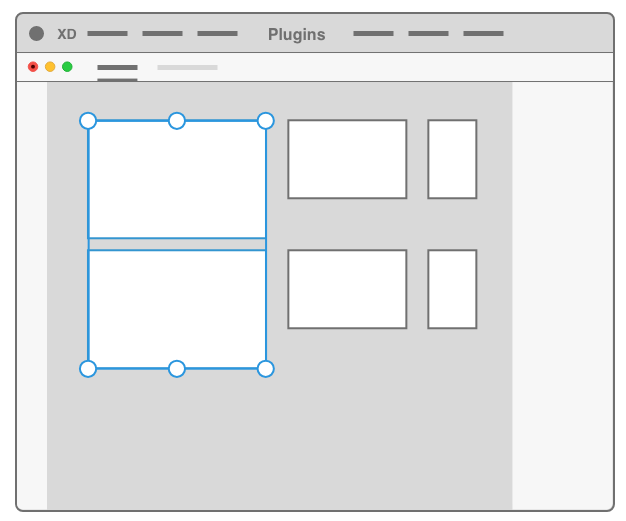 In order to show the content in XD, you have to tell the plugin where to put it. Select either individual elements and/or groups to get started. This means that there is no Google Sheet attached to your design that you can refresh. You must first perform the act of tying either a Google Sheet via a public link, or a .CSV file to your design. Then you can refresh that same content into other aspects of your XD file. This means that something in your Google Sheet is set up incorrectly. You can reference the instructions above to see where it might have gone wrong. This means that your Google Sheet is set to private. 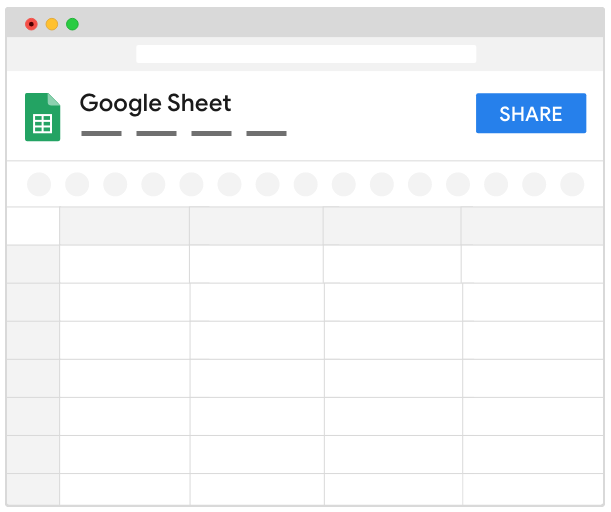 In order for our plugin to use your Google Sheet it needs to be set to public. If you can’t make your Google Sheet public, try using our .CSV option. This means that something went wrong with setting up your Google Sheet URL. Try to make sure you copied the correct URL. 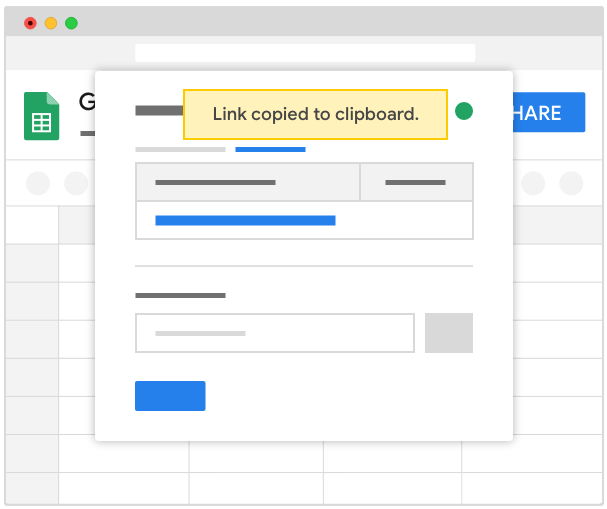 If it’s still not working, try recreating your Share URL from Google Sheet. This means that something went wrong with your .CSV file. Please make sure you used the right .CSV file. If it’s still not working try re-exporting the .CSV.